This week’s round-up of all things new and obscure from Getintothis’ Patrick Clarke features two cuts of sublime weirdo-rock and something simply outstanding from Illinois. Ryley Walker has a special kind of talent. Releasing his fourth album Golden Sings That Have Been Sung in August, on lead single The Halfwit In Me he captures that rare sense of the enthralling meander, the drift at once spiriting and long-form but imbued with a sense of true purpose. Unafraid to unwind into long instrumental segments, tinged with modern folk but beefed up with a determined bundle of texture, it’s a piece of rare, delectable beauty imbued with genuine, bona-fide mastery as a musician. 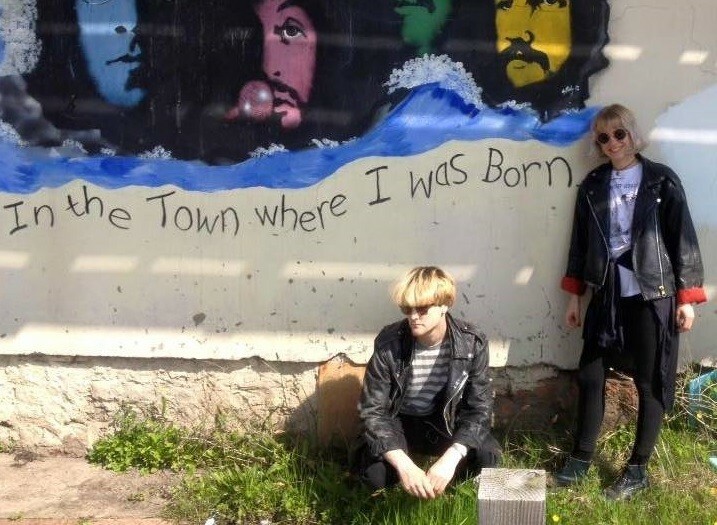 The latest track from London two-piece Beds in Parks, meanwhile, newly signed to GIT favourites O Genesis Recordings, show no regard for such things as slow, layered beauty. Instead, on new single I’m A Warhol, the band succeed by force of distorted, left-of-lo-fi. Dive into 84 issues worth of undiscovered delights, with hundreds of new bands waiting in the wings of Patrick Clarke’s Unknown Pleasures archive. A collaboration between The History of Apple Pie’s Joanna Curwood and Hatcham Social’s Finnigan Kidd, and fresh from an appearance at Sound City last weekend, though simplistic on the surface the track bears sophisticated marks, semi-surrealist refrains of dual vocal, thuds of drum calculated to a perfection of weirdo pop. Similarly off-kilter and deliciously funky is the new one from self-proclaimed “darlings of the varicose alley crowds” in Tennessee, Savoy Motel. Drenched in scratchy grooves of oddball guitar, Souvenir Shop Rock, the B-side to debut 45″ Out There is a bizarro-funk cut to be devoured.